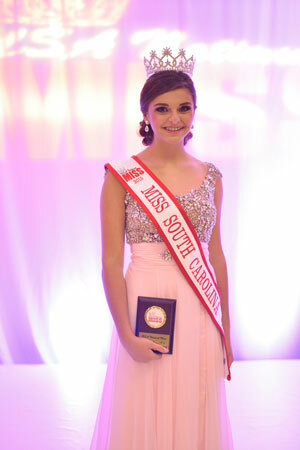 Rebekah Knowles, the daughter of Eric and Charlotte Knowles of Trenton, was crowned the USA National Miss South Carolina Jr. Teen! She is an 8th grader at Wardlaw Academy and is involved in many school and community related activities. Rebekah will compete the week of July 27-Aug 1, 2015 in Orlando, at Disney World for a National title. She is looking forward to representing South Carolina in her reign for this year! She is also the current LMSC Overall Sweetheart Queen. The USA National Miss South Carolina State Pageant was held on August 24, 2014 in Columbia, South Carolina. This pageant system recognizes the personal achievement, community involvement and academic excellence of their contestants. It strives to develop leadership, public speaking and community skills while building self-confidence. Miss Knowles graced the front page of The Advertiser in July when she won the state title of LMSC Overall Sweetheart.